For web designers and developers, using cloud-based software has become the norm. Our days are spent creating Google Docs, sifting through DropBox, screen-sharing for collaboration and Skyping on client calls. One of the design community’s longtime tools, Adobe Creative Suite, has ascended into the cloud with their new software, Adobe Creative Cloud. This is a trend among computer software companies, which allows them to reach their users in an entirely new way. Cloud-computing changes the way we interact with one another, collaborate, share documents, and communicate. 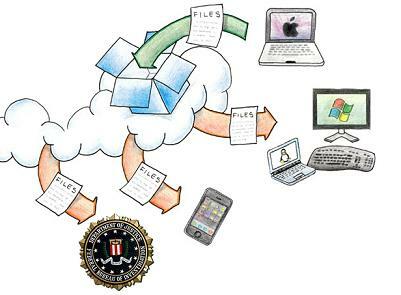 Cloud-computing is Internet-based software that allows users, from any place or device, access information, store documents and collaborate as if they were working on their local computer. Wikipedia, defines it as "Internet-based computing, whereby shared resources, software, and information are provided to computers and other devices on demand, like the electricity grid." What are the advantages of cloud-based software? Cloud-based software allows users to access software from anywhere on any computer and lends its hand more easily to collaboration between clients and coworkers. Employees are able work together in a collaborative environment no matter what their location. A recent survey by Frost & Sullivan found that companies which invested in collaboration technology had a 400% return on investment. Floppy disks and the need to purchase an entirely new version of software to reap the benefits of the latest upgrade is a thing of the past. With cloud computing, software developers are able to release new software behind the scenes and perform server maintenance without users being hassled. Cloud storage companies, such as Dropbox and CrashPlan, increase accessibility across interoffice file storage and allow users from all locations to easily gain access to documents. Investing in software that costs an upward of $1,000 can be risky, especially for new users, temporary users and hobbyist. Having subscriptions allows all types of users to access top-of-the-line software without the pricey investment. Below is a list of the top five application categories that are migrating to the cloud. Additionally, check out this infographic for predictions on how cloud-based software is shaping the future of technology. As our favorite tools start migrating to the cloud, we are seeing drastic changes in how we work as a team to collaborate. As web professionals, it is our responsibility to keep up on these trends and take advantage of the emerging tools and software that advance how we communicate and produce meaningful web and user experiences. TBH Creative is a full-service website strategy company located in Carmel, IN. We engage with clients at any scale locally and remotely. Let us help you with your next website project by contacting us today.